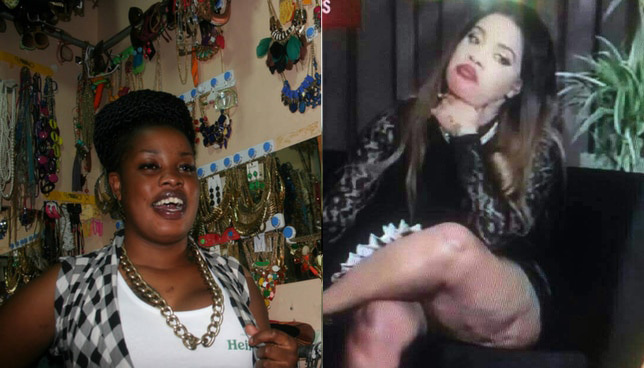 Bridget Achieng has joined the list of socialites like Vera Sidika proving that skin bleaching is quite expensive. So far we know that Vera Sidika spent 50 million to get her current skin tone and now Bridget Achieng says she used 3 million for the same procedure. And it seems that people are willing to pay whatever it takes to achieve what they perceive as beauty such as Nairobi diaries star Bridget Achieng who spent million for her ‘Mask Off’ procedure which she calls getting a ‘skin tan’. The Nairobi Diaries actress revealed this while speaking on Dr Ofweneke’s show leaving the comedian and MC Jessy in shock. This is probably because the two comedians thought the money would have been put in better use.